The UNESCO Almaty Cluster Office in collaboration with UNESCO Bangkok will organize a sub-regional workshop in Almaty, 10-11 July, 2007 on the theme “Strengthening partnerships and networks for community development through CLCs”. 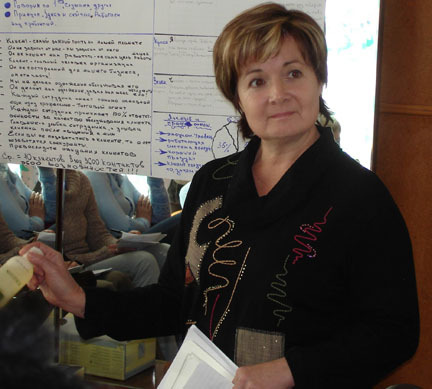 More than 40 participants will represent Ministry of Education focal points for Non-Formal Education/ Community Learning Centres, Ministry of Labour, CLCs managers and local governments where CLC are located in the following Central Asian countries: Kazakhstan, in Kyrghyz Republic, Tajikistan and Uzbekistan. The long term impact of this workshop will be strengthened of CLCs as effective delivery mechanisms for non-formal education , life long learning , ESD and community development within the framework of UN ESD and Literacy Decade.